« Michael Jackson was an amazing performer. Did he have plastic surgery to his face? 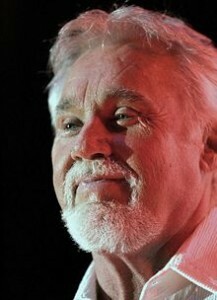 Here is a picture of Kenny Rogers. A lot of people think that he looks totally different and odd. Kenny Rogers has apparently made comments that he is not happy with the work that was done. I think the most significant part about his change in appearance is around his eyes. His eyelift has been done in such a way that his crease is set too high for him. With men you have to be careful in setting this crease too high. Prior to his surgery he had very low eyelid crease almost to the point of having asian looking eyes where their fold is low or not existent. For men this fold should not be too high or they will have a feminizing look. Ideally in women this fold should be about 1/2 an iris width high and in Kenny Rogers it is almost one iris width high which is too high in my opinion. Also, he was supposed to have a facelift. But I still see some neck banding which could be improved even more in this photo. These things can be improved however. His eyelid crease can be lowered through implanting some tissue above the crease and resetting the crease to a lower more masculine position. His neck can be tightened a little more to help with the banding. This would take some work but can be done so that he can look younger in a natural way! This entry was posted on Monday, July 6th, 2009 at 5:59 pm	and is filed under Hollywood Plastic Surgery / Hollywood Stars, Kenny Rogers. You can follow any responses to this entry through the RSS 2.0 feed. Both comments and pings are currently closed.